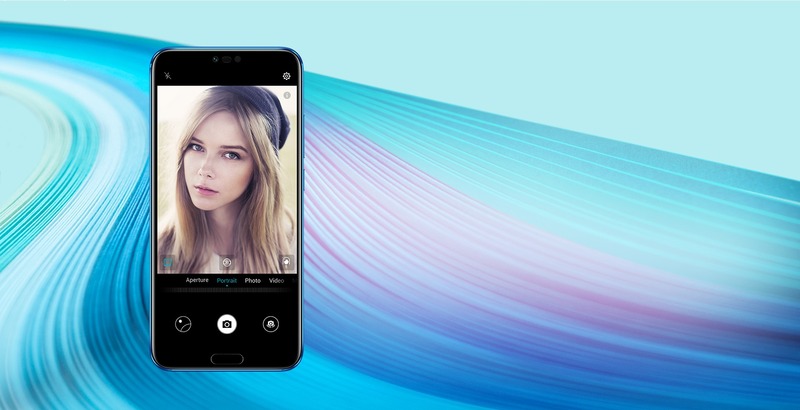 Honor 10 was launched in China last month, and almost after a month of its launch in China, the company launched it globally today at an event in London. The event was huge, and it was expected as it is the best phone that the company makes right now. We already know everything about the smartphone, and there is nothing new for the global market as the specifications are the same. Also, in case you don’t know, the phone launched today in India as well via Flipkart. 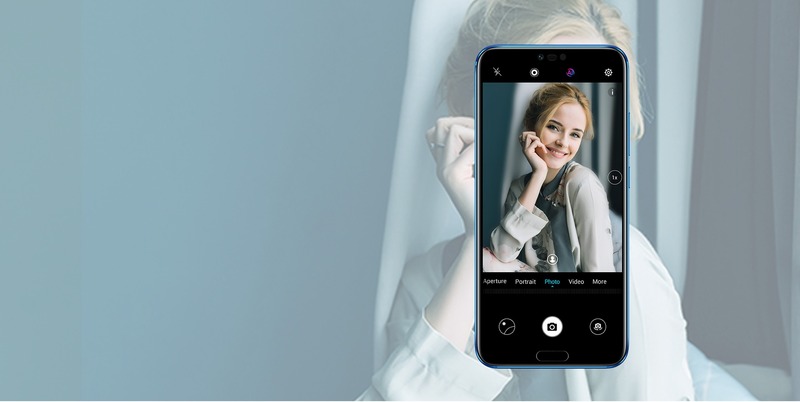 It won’t be wrong if we say that Honor 10 is one of the most beautiful smartphones launched this year. The device looks stunning, thanks to the Aurora Glass design which makes the rear glass of the phone shift colors when viewed from different angles. 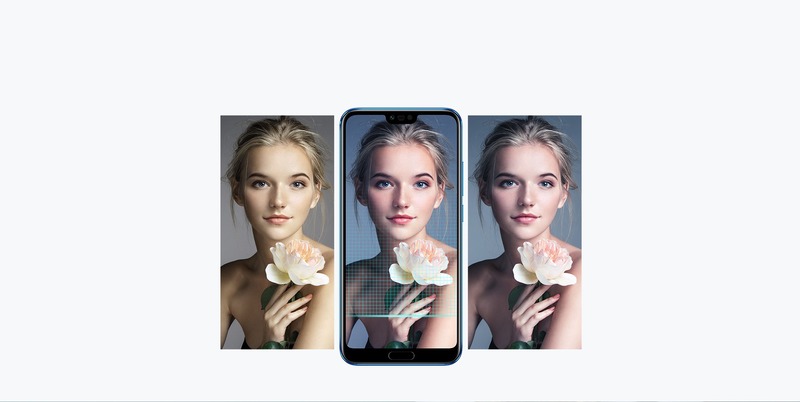 It is similar to the Twilight variant of the Huawei P20 and P20 Pro. Keep in mind that the Phantom Blue and Phantom Green are the only variants that will feature this reflective glass design. 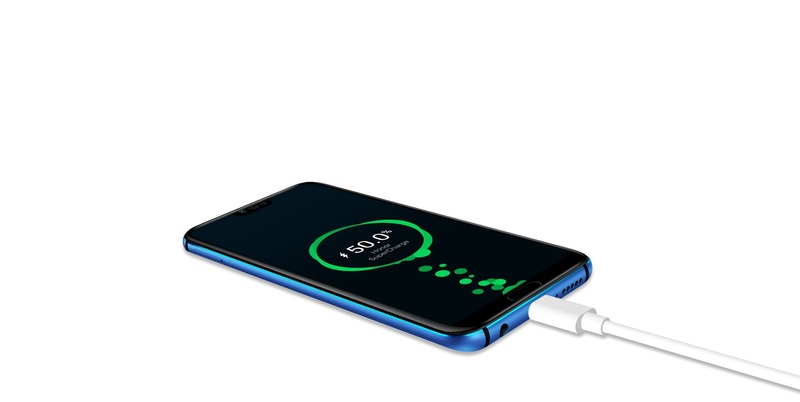 The phone doesn’t skip any of the ports as the 3.5mm headphone jack is present on the bottom (with Histen audio technology), along with the USB Type-C port and the speaker grill. 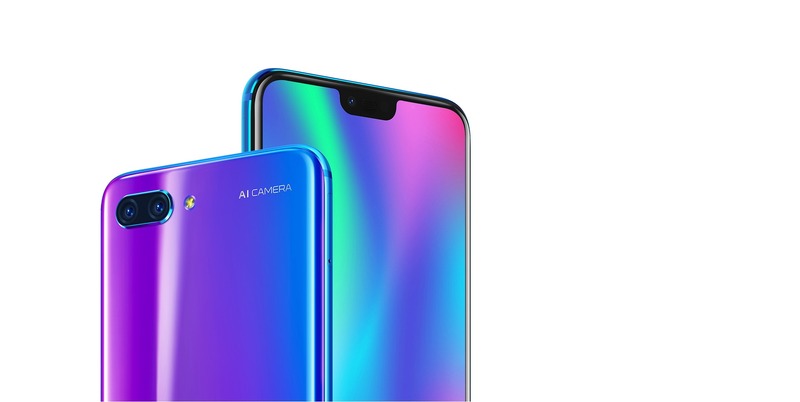 Design-wise, the phone is pretty similar to the Huawei P20 and P20 Pro from the front as it too has a 19:9 display with a notch on top and a front-facing fingerprint reader. Huawei mentioned the fingerprint reader as Ultrasonic Under Glass Fingerprint sensor but don’t confuse this with the in-screen fingerprint reader as that’s a different thing. Specifications wise, there is a 5.84-inch Full-HD+ display with 19:9 aspect ratio and a resolution of 2280×1080. 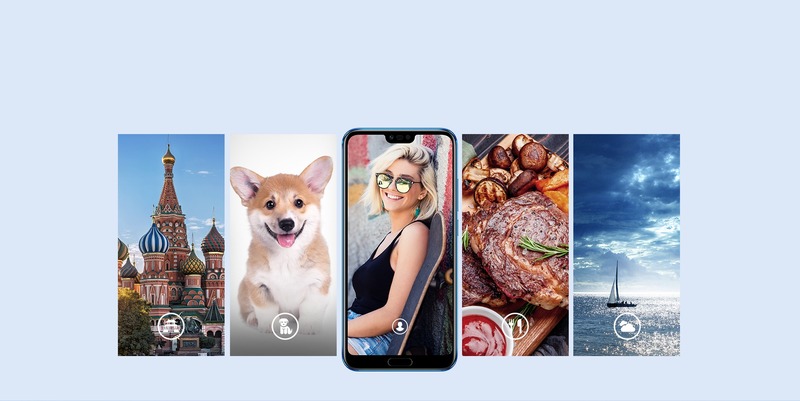 It is the second Honor smartphone to feature the Kirin 970 processor as the last year’s Honor View 10 launched with the same chipset. 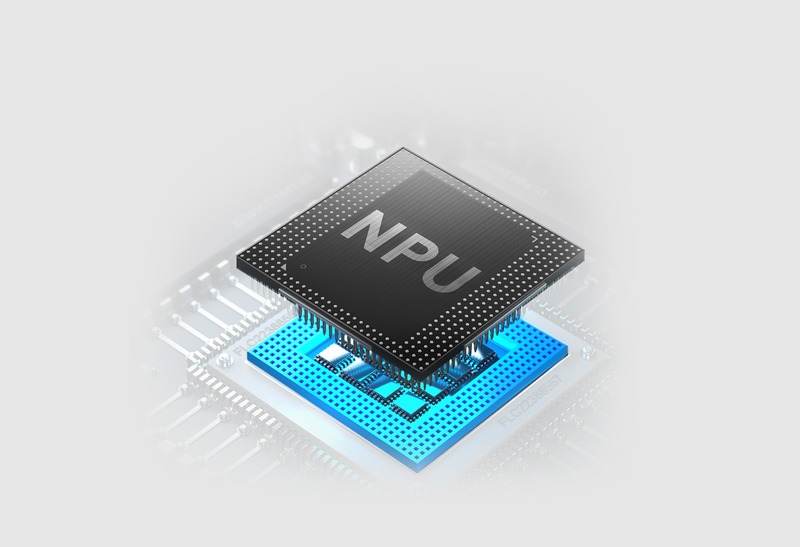 It is still a very powerful processor in 2018 and has a dedicated Neural Network Processing Unit that learns the user’s usage pattern and optimises the performance according to that. The phone has 4GB RAM (6GB RAM for India) and 64/128GB ROM. Since the Kirin 970 is a really good chipset regarding the Optimization, there is no need to worry about multitasking despite having just 4GB of RAM. It seems Honor put a lot of effort in the camera department as there are a ton of camera features. 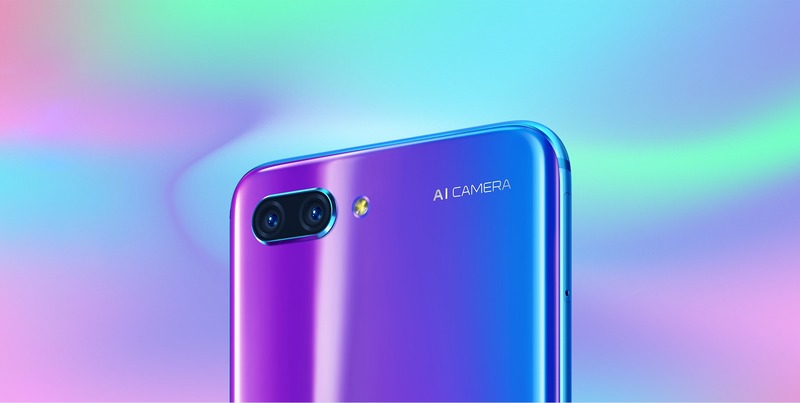 First, just like every other smartphone launched this year with the ‘AI Camera’ branding, the Honor 10’s camera can detect multiple scenes in an image and adjust the camera settings according to the scenes to make a single image. 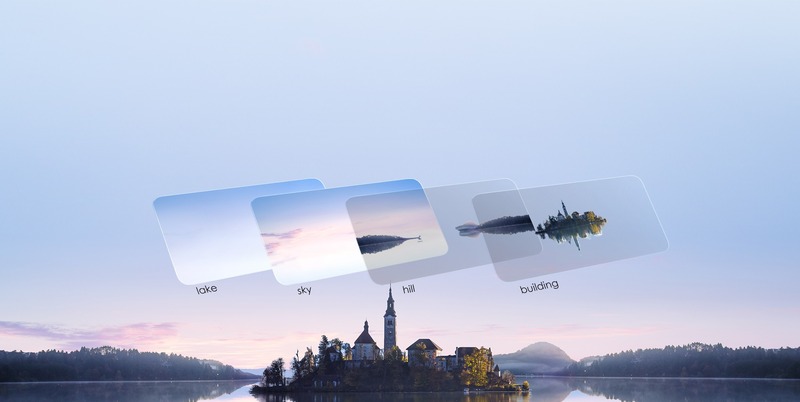 Similarly, the AI Enabled camera can recognize objects and adjust the camera settings as per the object to click a perfect image. There are 22 different modes for the various scenes and objects. Then there are some camera features like AI Portrait Mode and the 3D Portrait Lighting. The 3D Portrait Lighting is the same feature that is present on the iPhones. For the front camera too, there are a ton of features like Portrait Lighting, Portrait Mode, Super Fast Face Unlock and more. Talking about the camera specifications, the phone has a dual rear camera setup that includes 24MP+16MP sensors. 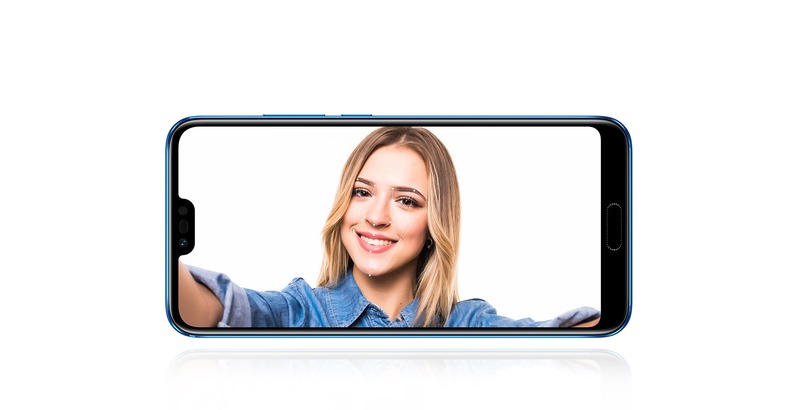 There is also a 24MP front-facing camera with f/2.0 aperture. There is a 3,400mAh battery under the hood with the Honor Supercharge (5V/4.5A) that can charge the phone from 0 to 50% in just 25 Minutes! Overall, the Honor 10 is a really good flagship smartphone, and the pricing makes it even better. The phone is priced at €399.9 and €449.9 respectively for the 4GB+64GB and the 4GB+128GB variants. For India, there is only one variant but that one has 6GB RAM and 128GB ROM. It is priced at Rs 32,999 and will be available exclusively via Flipkart. The color options are Glacier Grey, Midnight Black, Phantom Blue, and Phantom Green & as mentioned above, only the Phantom Blue and Phantom Green variants have that reflective glass design. 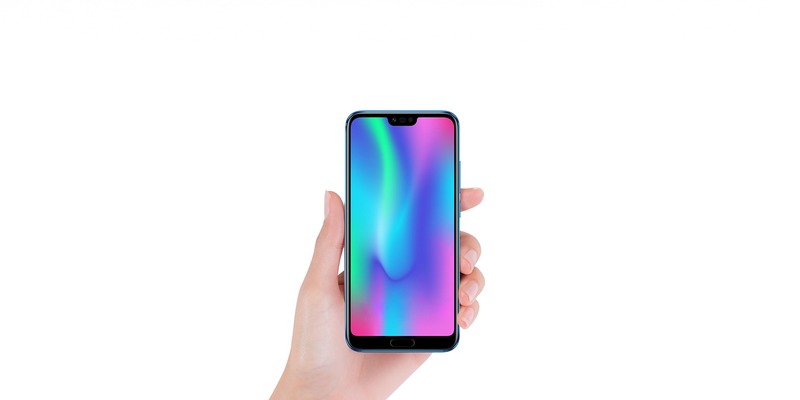 What do you think of the design, specifications and the pricing of Honor 10? Do let us know via the comments section.